Become a rich mining Bit Coins! 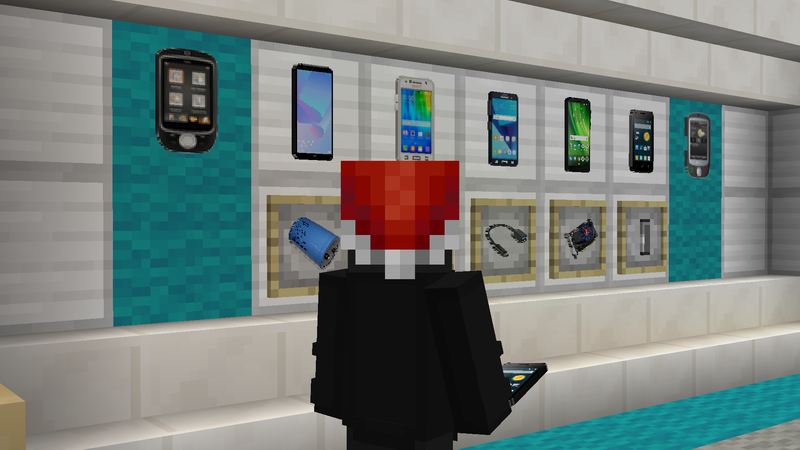 ► This mod is for people that likes smartphones. You can mine Bit Coins and minerals by right clicking with your cell phone in your hand. There are 7 smartphones, The challenge is to get them, from obtaining prismarine, iron, and redstone, to obtaining different plastics and electronic components, that will allow us to manufacture them. Do you think Minecraft is from the past? Tired of jewelry and swords? Do you want to try ... Celphones? This mod is for you. In this new version, you can mine Bit Coins and minerals by right clicking with your cell phone in your hand. According to the cell phone you can mine Bit coins or more valuable or less valuable minerals. Samsung Model 2: Can mine Diamond. 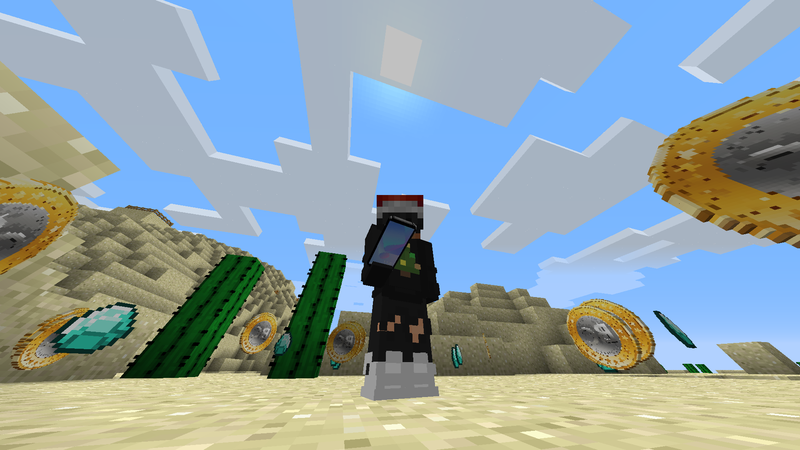 Moto Model 1: Can mine Bit Coins and Emerald. Moto Model 2: Can mine Bit Coins. 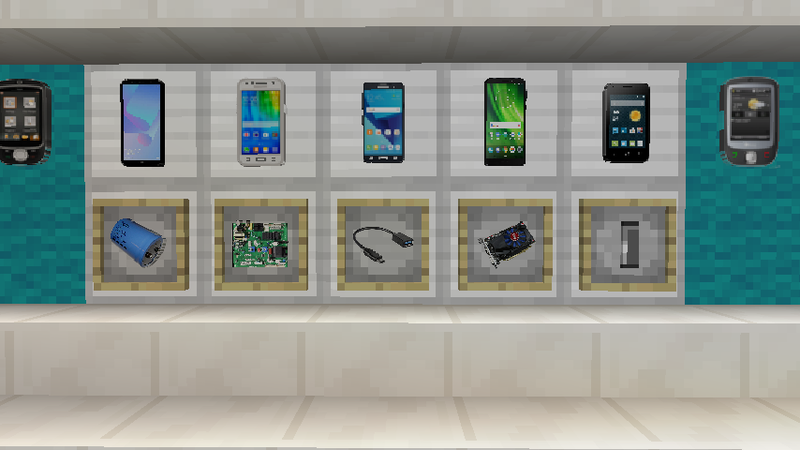 Old phones can mine iron and redstone. The Bit Coins will serve us to buy things in BitCoin Shop. This message has been generated by a traductor, because the language of its creator is originally in Spanish. Therefore, it may contain errors. Version Beta 1.3, 1.3.1 Desprecated! This version may contain bugs. Added Minning BitCoins (Right click on a celphone). GPU recipe will be changed in release. Added capacitor block (creative mode only). Next version will probably be issued in a few days. There are 2 smartphones. There are 3 smartphones. Changed 2 textures; GPU, Electronic Board. Hay 2 smartphones. Hay 3 smartphones. Se modificaron 2 texturas; GPU, Tablero Electrónico. La próxima versión probablemente se publicará en unos pocos días. Arreglado el error de la textura del capacitor. Cambiada la receta del capacitor. This mod is for people that likes smartphones. The creator is Spanish. They don't speak English very well, so they used a translator. Grammatical errors aren't their fault. Oops I thought you were someone pointing out a grammatical error, sorry. I didn't realise you were the creator. Some messages are written directly, since my English is not so bad. Do you want more smartphones? Do you want more difficulty to craft them? More fifteen new smartphones will be added in future versions. Do not stop coming. This is only the beginning. Could you add some in-game screenshots please? Yes, I prepared some screenshots for next update. Release version will probably be issued in a few hours. Are you going to make the smartphones useful?